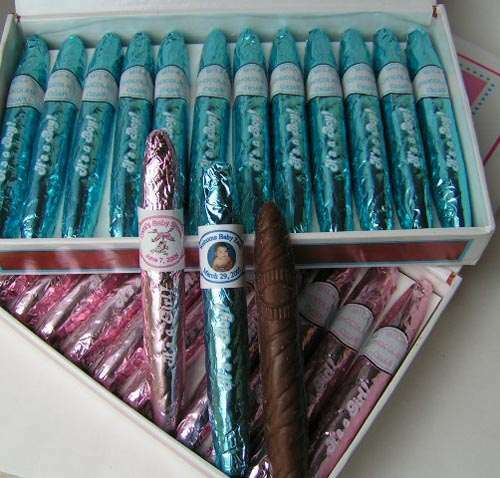 Fine solid milk chocolate cigars with great taste perfect for birth announcements, baby shower or any other occasion. Enclosed in an elegant hard box of 24 cigars and individually wrapped with shiny foil. Available for a Boy or a Girl (blue or pink).